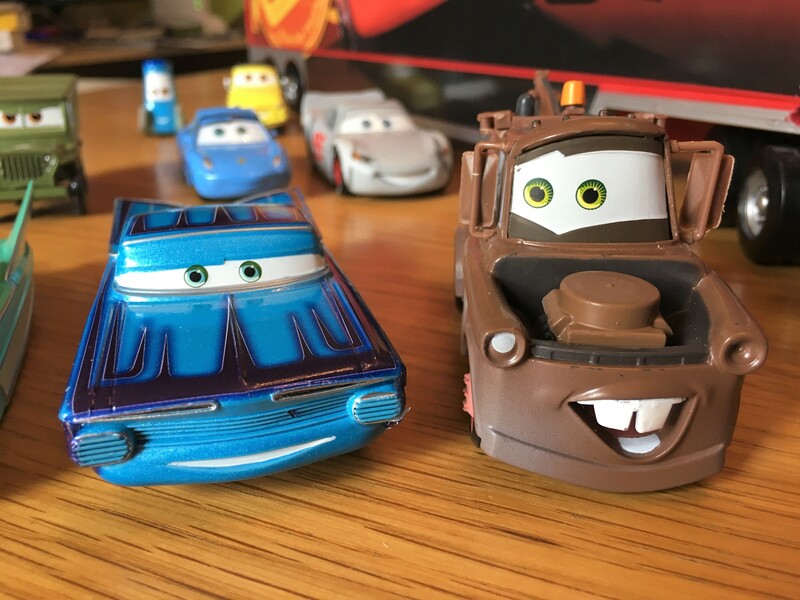 I don’t know about your house, but the Cars films have been an entertainment staple in ours for the past 5 or 6 years now. We saw both of the first two films at the cinema (the second being Freddie’s first ever trip to the cinema) and we’ve got more Cars toys than you can shake a stick at. So when the nice people at the Disney Store asked if we’d help them to spread the word about their fantastic range of Cars 3 toys, my boys jumped at the chance. Even better, we were tasked with building a racing track for the toys to zoom around – something the kids do on a regular basis anyway! The folks at the Disney Store sent us a fantastic collection of the Cars, all stored inside a giant ‘Mack’ carrier. I don’t know if you’re as much of a Cars nerd as I am (purely by proxy, I promise!) but Mack is one of my favourite characters, so I was very pleased to see him included so prominently in the set. 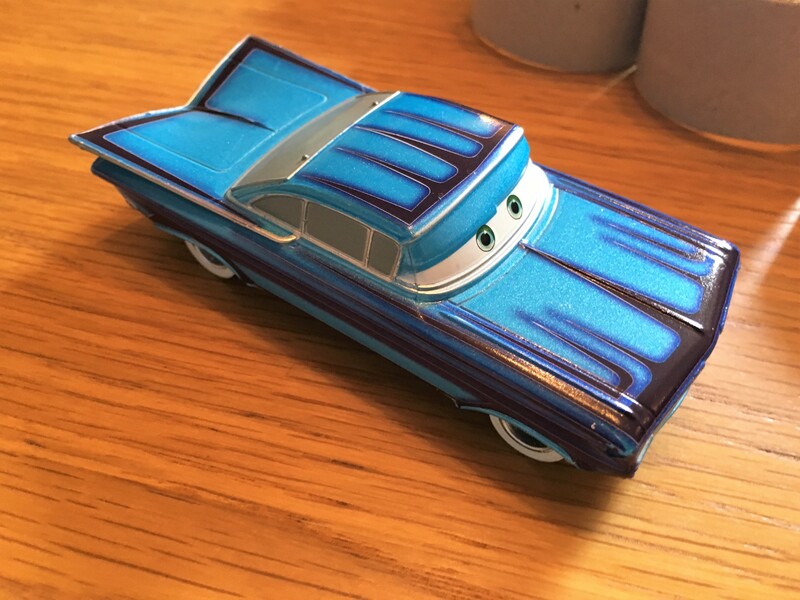 As well as Mack (who comes with a removable side to allow storage of around 16 vehicles) the set comes with Die Cast cars of Lightning McQueen, Mater, Sally, Mater, Sarge, Ramone, Flo, Luigi and Guido – pretty much the entire population of Radiator Springs in fact! The Cars themselves are all made from sturdy metal (not like some of the plastic cars you get these days, which break the moment you drop them!) and are beautifully painted to resemble their big-screen counterparts. Mack is also very sturdy and well made – my only real grip with the set is that the side ‘door’ is a bit fiddly to put back on, so it’ll definitely be a job for the parents the first few goes. 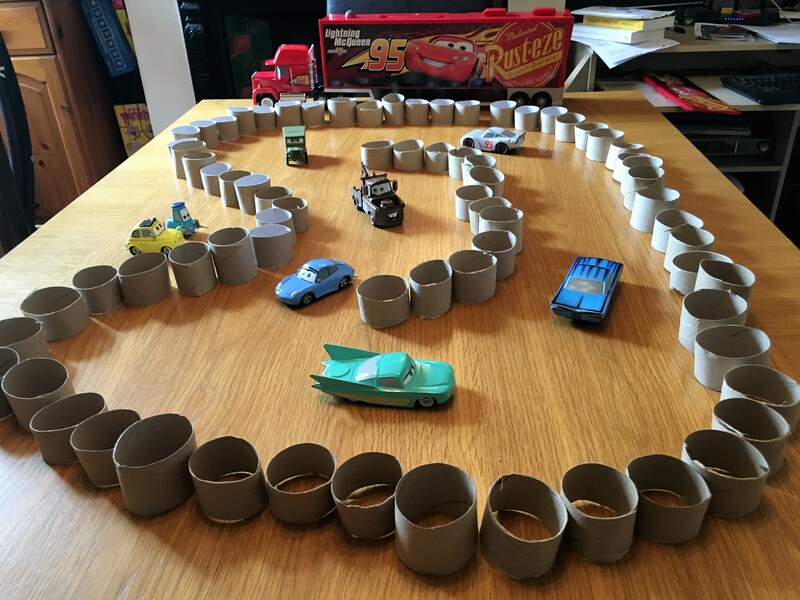 We decided to build our race track out of something we seem to have a TONNE of in our house – left over kitchen and toilet roll tubes! It seemed like a nice recycling thing to do, and it didn’t hurt that they resembled the tyres you get around the edge of some race tracks, too. The boys spent ages racing the cars around our dining room table track, and indeed they’re still playing with them now as I write this! Needless to say they went down well. 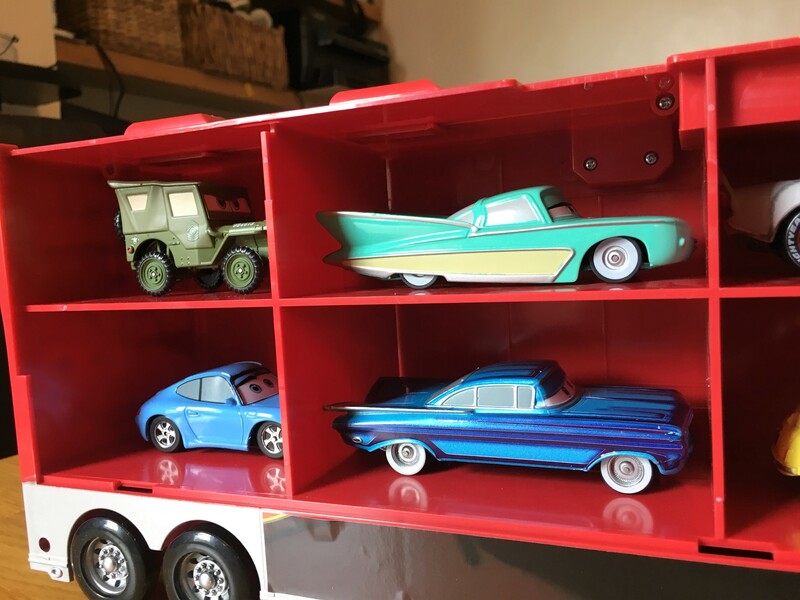 Given the amount of Cars toys there are spread around our house, I think it’s fair to say we might be a little biased – but I can definitely say the kids enjoyed this set, and will probably be playing with it for some time to come. Now all we’ve got to do is get to the cinema to see the actual film! Hi Henry, just stumbled onto your blog. When Cars 3 came out, our son also wanted to buy almost all the Cars 3 models at Walmart!! We just made him choose 2 cars and that’s it. He still has tons of Hotwheels cars, too. 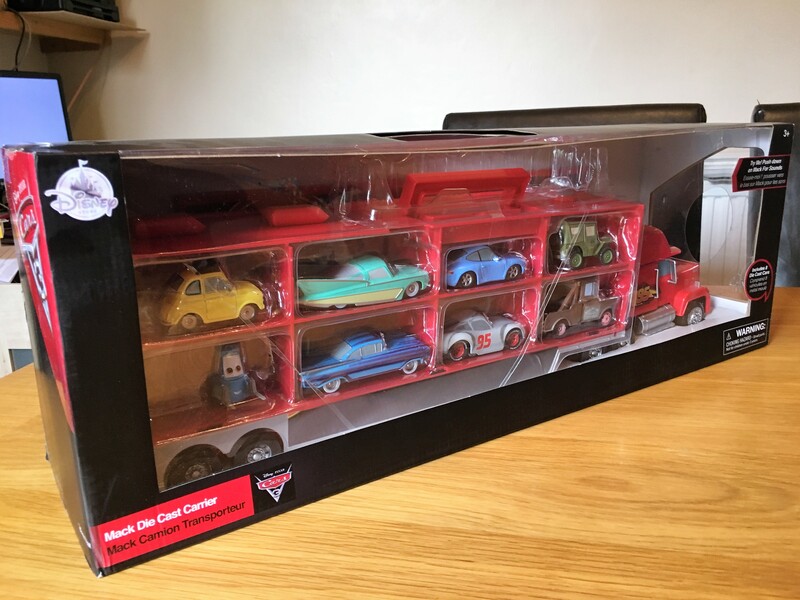 My son would love this, he is 2 and we have seen the first 2 cars films but not the third, i have a few cars for his stocking but I love this set of all of them some are hard to find.